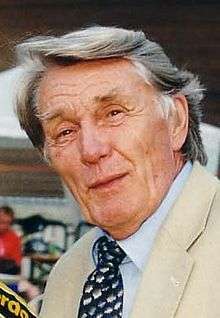 Otto Ziege (14 June 1926 – 8 November 2014) was a former German racing cyclist. He won the German National Road Race in 1949. ↑ "Magen-Krebs! Otto Ziege ist tot". Cycling Archives. Retrieved 9 November 2014. ↑ "Otto Ziege". Cycling Archives. Retrieved 12 September 2014. ↑ "National Championship, Road, Elite, Germany". Cycling Archives. Retrieved 12 September 2014. This article is issued from Wikipedia - version of the 11/6/2015. The text is available under the Creative Commons Attribution/Share Alike but additional terms may apply for the media files.